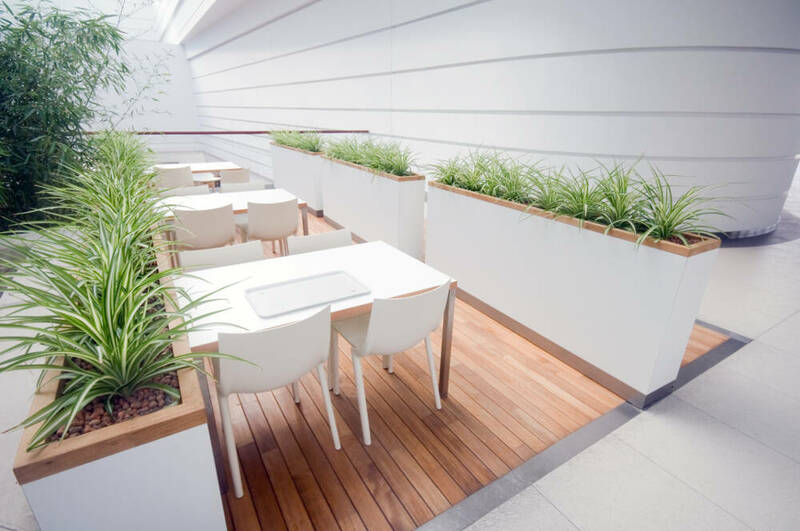 Choosing the best commercial wood flooring for your space will require careful consideration of factors such as: how much traffic the floor will receive, care and maintenance requirements, and budget. At Cherry Carpets we have a team of experts who can help you choose and install the most appropriate type and grade of wood flooring for your unique needs. Wood flooring is timeless and elegant. It can instantly add class and ambience to any commercial space, including office and hotel lobbies and retail environments. Wood flooring is strong, durable and easily cleaned. It can stand up to high volume traffic and heavy use. We will be happy to help you choose the right wood flooring for your needs. The environment of the room must be carefully considered: traffic, humidity and temperature. The cost of cleaning and maintaining the flooring also should be weighed up as well as its desired lifespan. There are two main options to be considered: solid wood or engineered wood. Real wood is the premium choice. It exudes class and authenticity and is beautiful to behold. For commercial settings we would recommend oak, cumaru or wenge as they are extremely hardwearing and can withstand heavy use. We also recommend a professional finish to protect the wood and to facilitate cleaning. Installing solid wood flooring requires an expert’s hand – at Cherry Carpets, we have a highly skilled team available to you. The stunning finish of real wood may become worn with time but can be easily sanded to restore its former glory. Despite its many charms, real wood is not suitable for environments subject to humidity or dramatic changes in temperature as the wood will swell. For these situations we recommend engineered wood. Engineered wood is comprised of three to four layers of wood which are tightly bound together with glue. At Cherry Carpets we stock engineered wood flooring which is extremely similar in appearance to real woods. The secret is the finely detailed real wood veneer on top. Our range of engineered oak is very popular due to its strength and durability – a range of other woods are also available. The chief advantage of engineered wood is that it is very stable and will not be affected by damp or fluctuations in temperature. It would be ideal for kitchen areas and rooms with underfloor heating. Additionally, if you budget is tight, engineered wood tends to be cheaper than real wood.